Leizhan manufacture energy-saving Pressure screen for paper pulp processing line, equipped with automatic waster injection device to protect mechanical seal. European standard pulley, easy to assemble. Screen basket material is 316L stainless steel material, surface hard chrome plating layer. Protruded type multi-rotor blades. What is the difference between Inflow Pressure Screen and Outflow Pressure Screen? 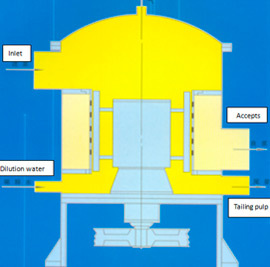 Inflow pressure screen‘s rotor is outside the screen basket, pulp enter first into the outside of screen cylinder, fine pulp flow into the inside of screen basket with the effect of rotary rotor. It is called Inflow Pressure Screen. 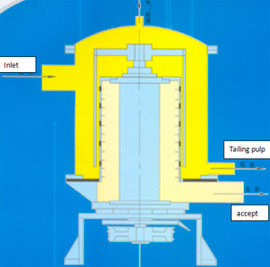 Out flow pressure screen, rotor wing is inside of Screen cylinder, pulp enter first into the inside of Screen cylinder, fine pulp flow outside the Screen cylinder with the effect of rotor wing. It is called Outflow Pressure Screen.